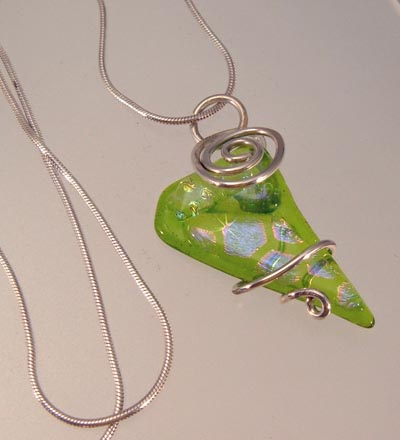 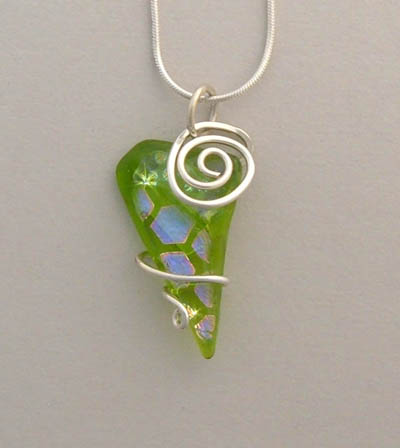 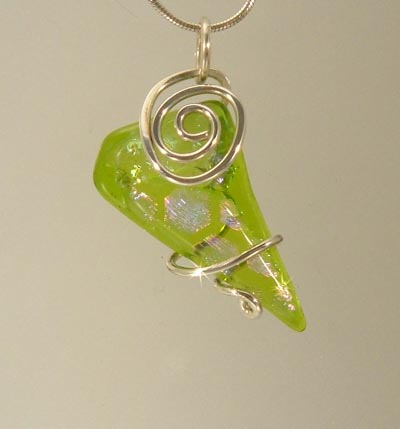 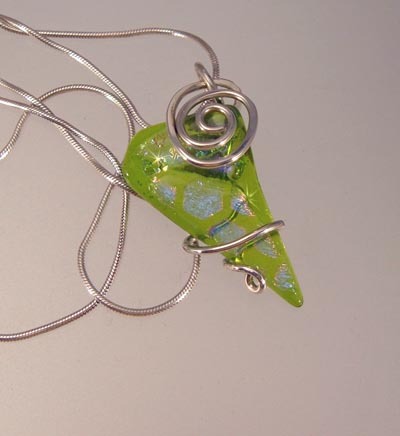 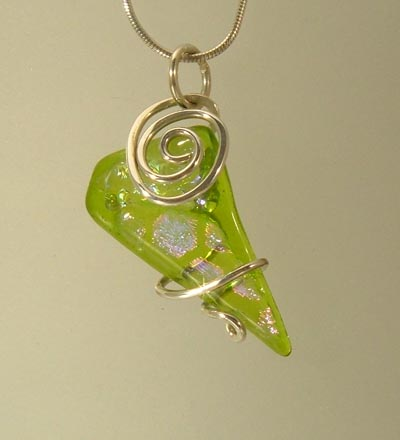 Transparent green art glass holds just the right amount of dichroic charm and sparkle. 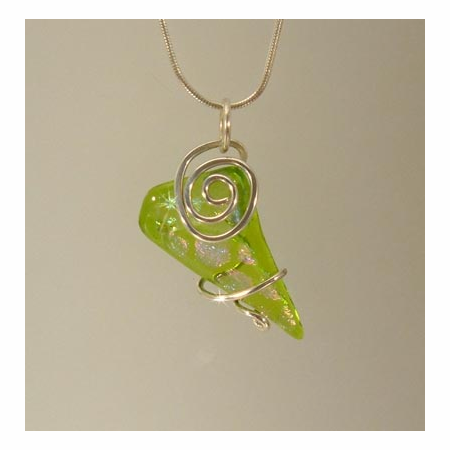 A stunning piece for your collection. 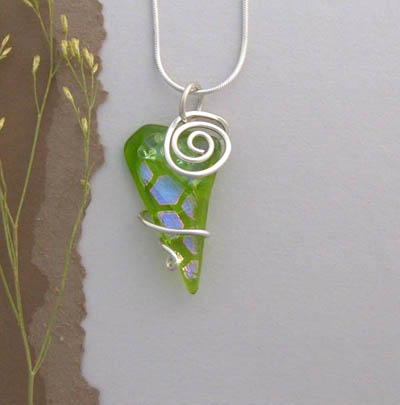 Comfortably worn on a bold chain or a simple leather necklace. 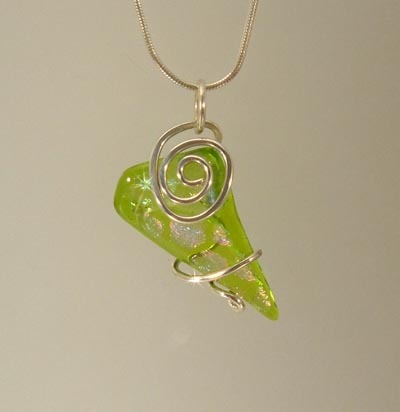 Elegant of casual; your choice.